Welcome to my new blog, an off-shoot of my Wilbur’s Travels website. This site is dedicated to train travel. Not your run-of-the-mill commute, but adventurous train travel, the perfect means by which to get to some place exciting. It regales tales from my travels, primarily outside the UK, where I have undertaken well over 200 journeys throughout all points of Europe and also parts of Asia, South America, Africa, The Middle East and North America. Additionally it will cover anything else that I find interesting from the world of train travel both at home in the U.K. & abroad. Ever since my first inter-rail trip around Europe in 1987 I have been hooked on overseas train travel. That first youthful trip into the unknown took me to the Netherlands, Germany, Austria, Yugoslavia (very, very briefly! ), Italy, Switzerland, Luxembourg, Belgium & France. The sense of freedom, the seemingly disastrous scrapes, the memorable characters and the open-mouthed wonder has stayed with me ever since. Slightly wealthier and more world-wise I may now be, but those feelings of freedom, the perplexing scrapes, the eccentric characters met and that sense of wonder, all resurface every time I board a train in foreign lands. 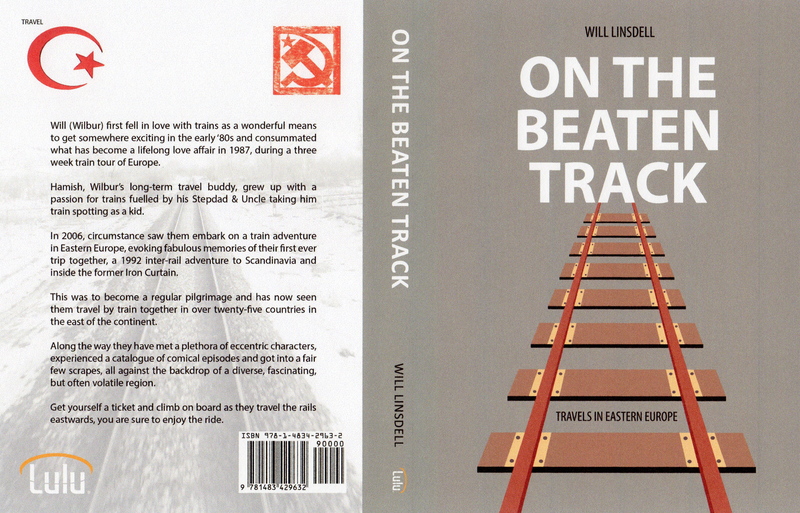 A budding author, I have published my first book chronicling over 15,000 track kilometres criss-crossing Eastern Europe. A story of discovery, baffling situations and dark beer, it just may be the perfect companion on your own foreign train adventures. Get yourself a ticket, climb aboard and enjoy the ride!